To work in partnership with the wider community, including parents and local business links to enhance the students’ experiences of the world of work. Underpinning the aims is the essential premise that all career learning will be planned and delivered in such a manner that has relevance to the needs of the young person. Mrs Susan Peak, has the interesting and challenging role as Work Experience Coordinator. She works with students in Year 10 and helps them find appropriate placements to enhance their individual career opportunities. Mrs Peak also coordinates employer engagement opportunities alongside Mrs Lord. Broadoak School recognises the value that employers can provide to young people’s education and as such welcomes offers of support and involvement from employers across all industries. Broadoak hosts several Careers events throughout the academic year where employers, training providers and representatives from Further and Higher Education are welcome to get involved. Please contact Mrs Lord on slord@broadoak.trafford.sch.uk if your organisation would like to engage with the CEIAG at Broadoak School. Broadoak is a very inclusive school with a diverse population. Children with a wide range of special educational needs are successfully included in our mainstream setting, with varying degrees of support. 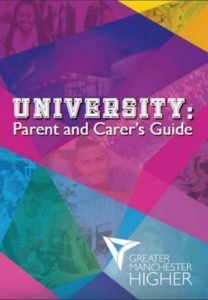 From Year 9, every pupil with SEND (with or without an Education, Health Care Plan- EHCP) have access to face to face guidance with Mrs Lord, the Careers Adviser who provides support with their future plans and to manage key transition stages i.e. Choosing GCSE options, Parents evenings, EHCP annual reviews, post 16 options etc. and liaises with the Local Authority (Trafford Council) when necessary. A Career Bulletin is produced every term for parents/carers and pupils. This is to keep you informed of career activities happening in and out of school which pupils would benefit from and help them to make informed career choices for their future. 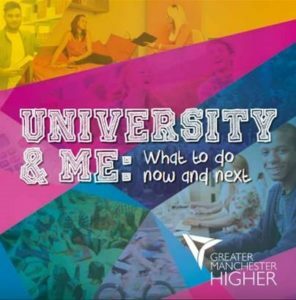 Higher Ideas:Higher Ideas is useful for researching universities and degree courses linked to interests, career ideas or subject choice. It is your starting point for higher education research, generating lots of ideas for courses to consider based on your current studies, interests and career ambitions. To access these softwares, pupils should login via Moodle and go to the Careers page. We work proactively to support our leavers in their progression onto further education, training and employment. Data captured in January 2018 of the activity of our recent 2017 cohort, indicate that 67% have continued in further education, 7% in full time training positions, 9% progressed onto Apprenticeship programs and 9% of leavers were yet to settle into their career path (NEET). We continue to support leavers throughout their Year 12 and 13 studies to encourage sustained progress into their chosen careers. Please click on the pictures below for further information. Supporting the progression of pupils onto suitable post-16 options is a team effort and it is important as a team of staff to work collaboratively for the benefit of our leavers. To this end, please find links to the various resources that you might require to support the young people in your various roles as Subject Teacher, Form Tutor and/ or Mentor.